Д2 СПОТ на ФОБ Новороссийск 100 000мт на Лифте. Дисконт 30-25дол. от Платс Мед Итали. Commodity Is “Russian Origin D2 Gas Oil GOST 305-82” elsewhere is this Agreement also referred to as “Product” or “Gasoil”, the specifications for which appear in Annex A attached and by this reference confirmed an integral part of this Agreement. Day Means a Calendar day, unless differently specified. Month Means a Gregorian calendar month. 2.1	Russian Origin D2 Gas Oil GOST 305-82 having the contractual minimum guaranteed specifications as per Annex “A” herewith attached as an integral part of The Agreement. GROSS $30.00 (THIRTY) US DOLLARS – NET $25.00 (TWENTY-FIVE) PER ONE METRIC TON. 7.1 Seller Issue CI, DTA documentation and Authorization to resell from title holder. (In the event of product already been loaded into tanker an ATB will be issued with initial CI). 7.2 Buyer signs and returns CI. 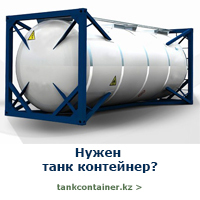 f)	If the product is loaded on vessel – Vessel information will be provided. Buyer has 24 hours to conduct DD and verification of POP documents. 7.4 Buyer immediately pays in full for the cargo via BG/MT760 to sellers account upon verification of the POP documents. 7.5 Buyer and or assigns performs Dip Test. 7.6 Upon successful SGS Buyer immediately releases MT103 in exchange of Title. 7.7 Buyer provides logistics (Q88 and all relevant documentation thereto). 7.8 Buyer has 48 hours to commence loading of the product. 7.9 Buyer Bears responsibility for all logistic of product and the Port Seller assumes no responsibility of logistic delays or otherwise. 7.10 Buyer will conduct their own SGS test at time of loading as well as generate own BOL. c) FOB transactions is based on a first come, first serve policy. will pay for the product and take title.